Europe installed 11.7 GW (10.1 GW in the EU) of gross power capacity in 2018, This was 33% down on 2017. 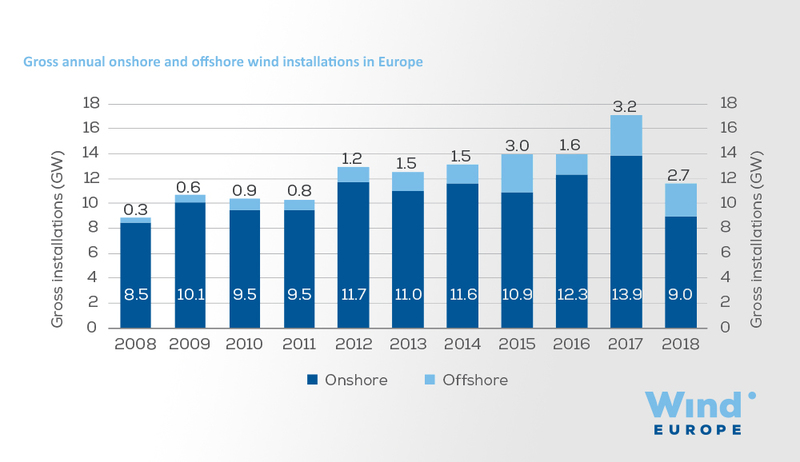 With a total net installed capacity of 189 GW, wind energy remains the second largest form of power generation capacity in Europe, set to overtake gas installations in 2019. 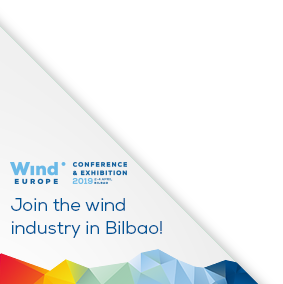 2018 was a record year for new wind capacity financed. 16.7 GW of future projects reached Final Investment Decision. 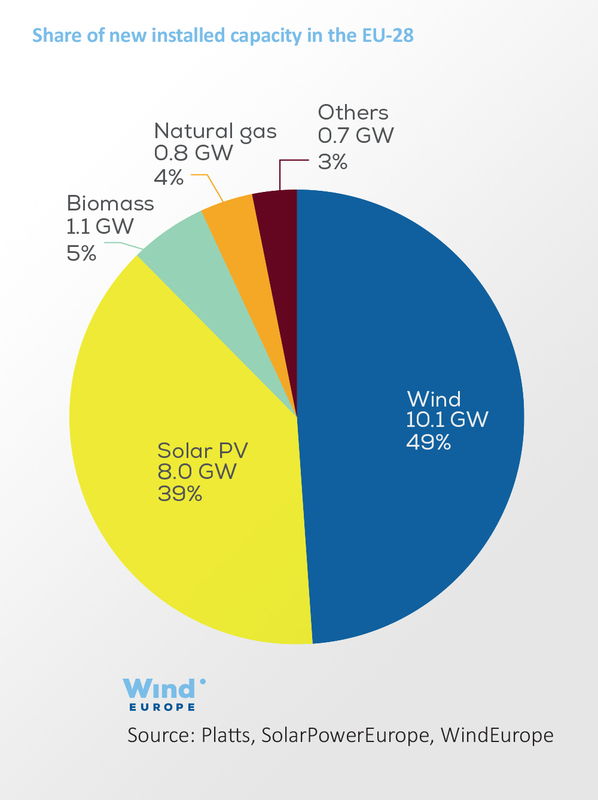 Wind energy is now 14% of the EU’s electricity (up from 12% in 2017). 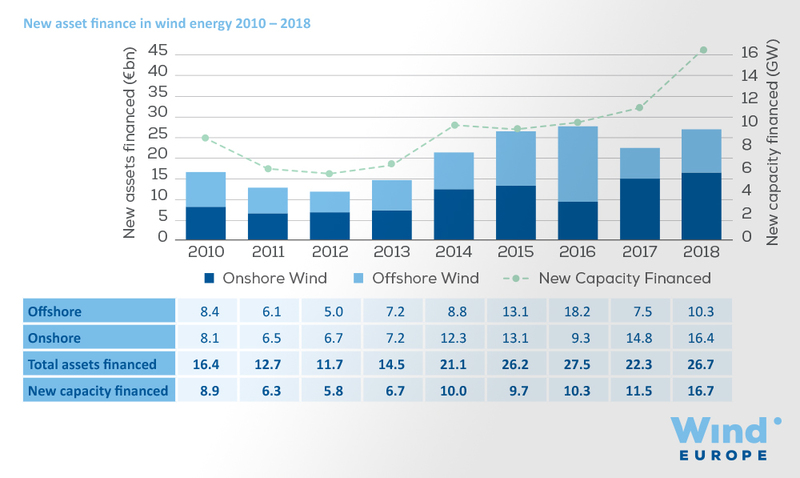 Wind power capacity rose by 11.3 GW in 2018: 8.6 GW onshore and 2.65 GW offshore. This was down 33% on 2017. 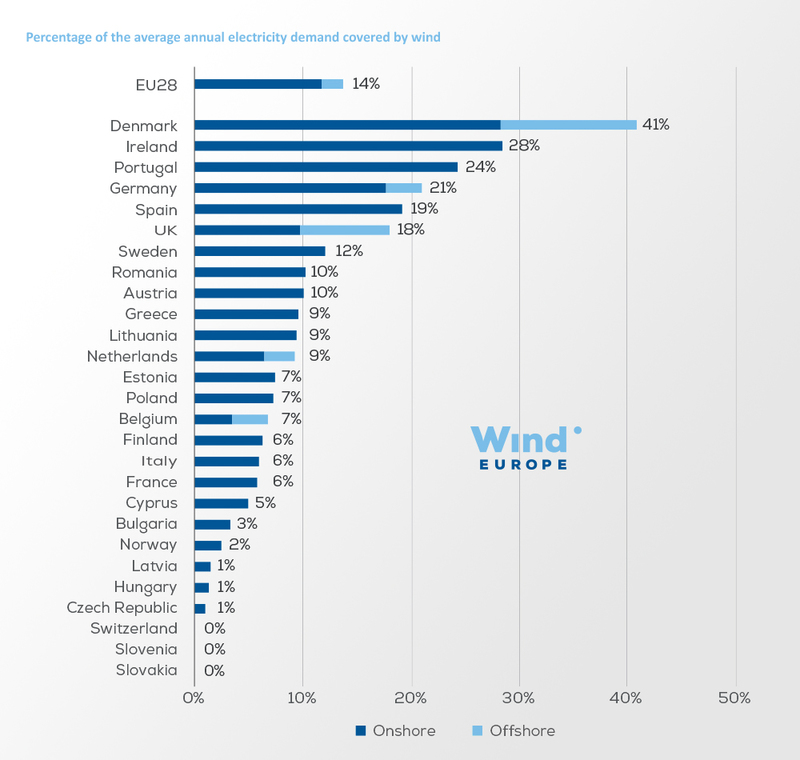 Denmark had the highest share of wind in its electricity last year (41%), followed by Ireland (28%) and Portugal (24%). 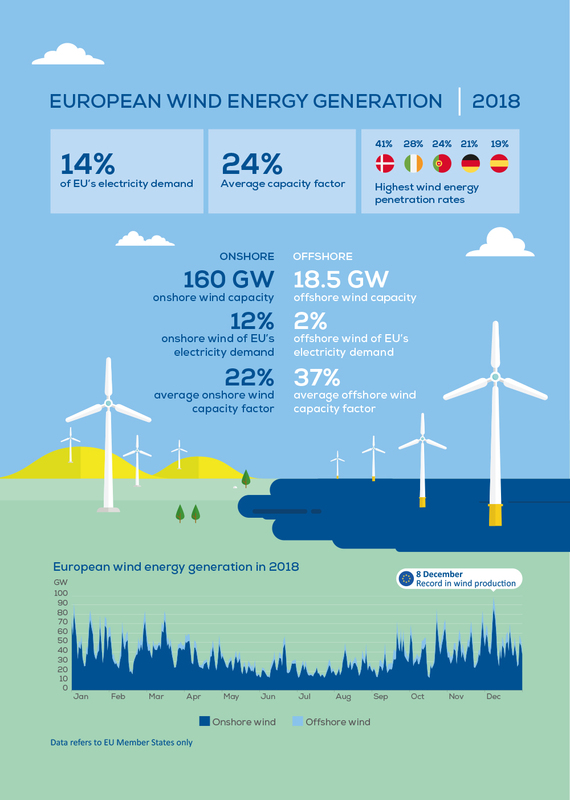 The EU installed more wind energy capacity than any other form of electricity generation in 2018. 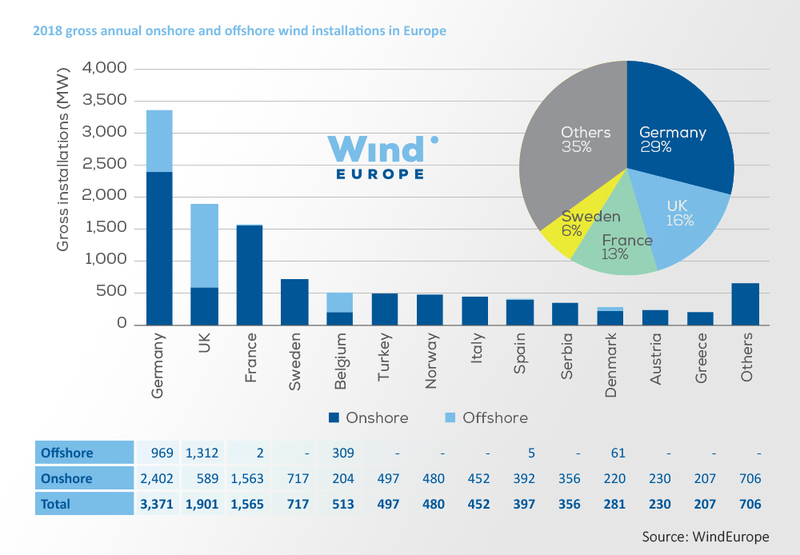 Germany installed the most wind in 2018 (29% of new installations), followed by the UK, France, Sweden and Belgium.